While I thought it was hard to find some traces of nature in the busy area of Wan Chai, I just happened to come across a hidden treasure of green in my search for a great place to have lunch. 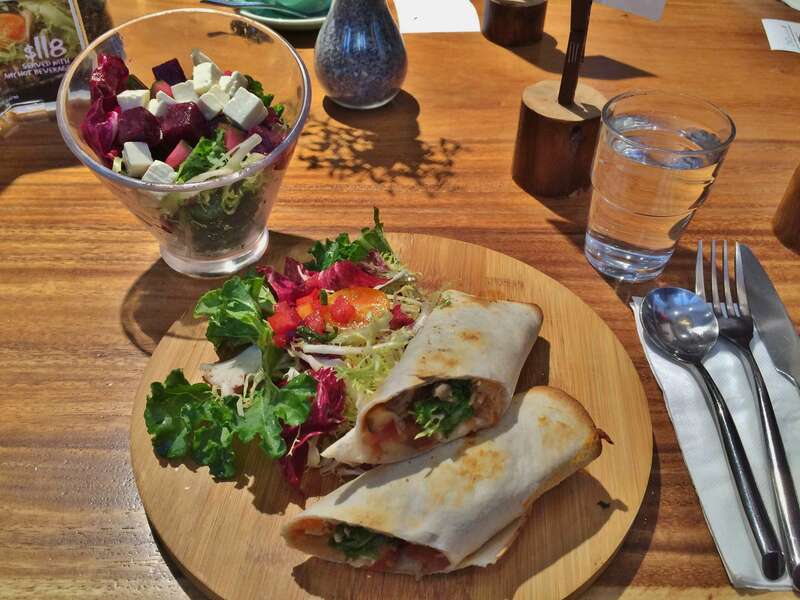 Opting for a light and delicious lunch, my colleague and I were thrilled to try out Ovo Café. 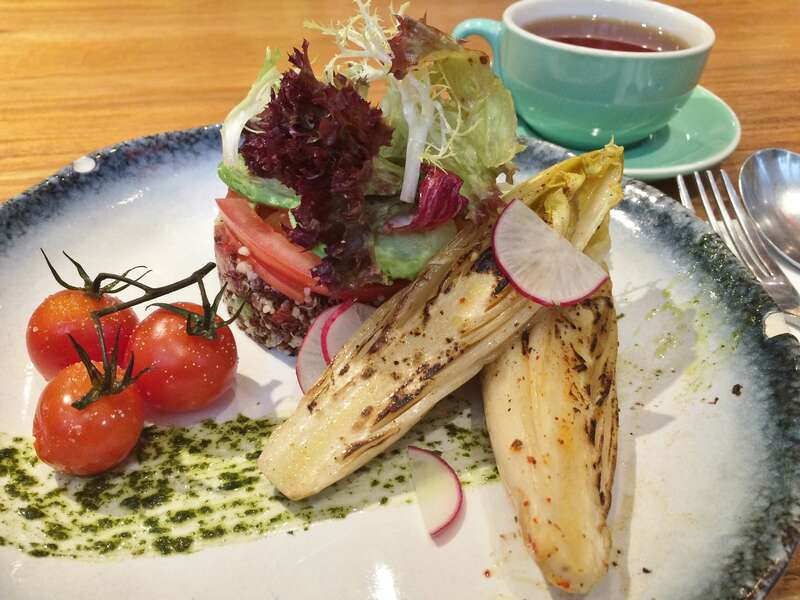 The unique thing about this café serving vegetarian cuisine is that it not only allows you to enjoy the green nature by tasting fresh ‘green’ ingredients but it also satisfies your other senses’ appetite for nature with forest-like scenery. 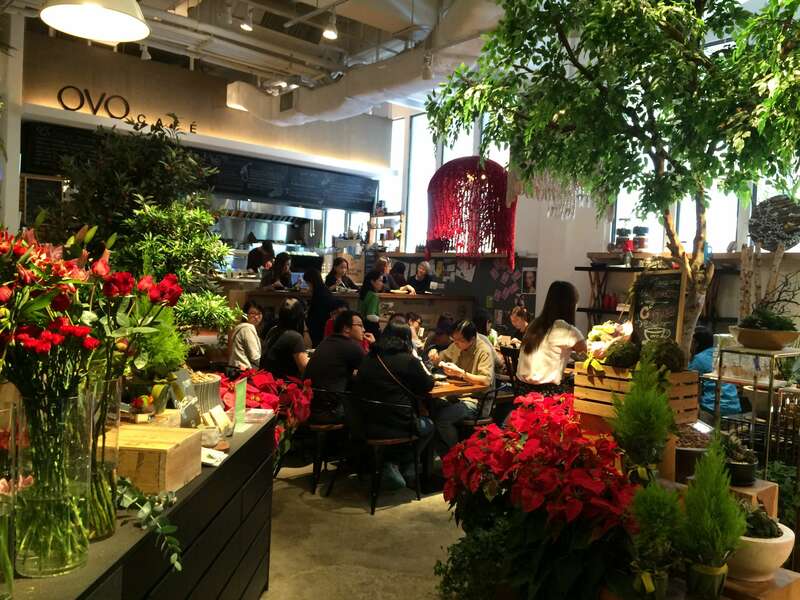 The café namely is surrounded by a relaxing environment full of flowers and plants as it is a smaller part within the bigger Ovo Garden, a Home and Garden Center located in the Old Wan Chai Market. At Ovo Café, you can tuck in any time of the day as it serves lunch, tea and dinner sets. The cherry on the cake is that they serve all-day breakfast throughout the whole day (a.k.a. all-day breakfast). Having dropped by for lunch I can tell that they have got everybody's lunch preferences covered, consisting of a chef’s special, daily pasta, daily sandwich/wrap, and daily salad. The best thing is that everyday there is a different variant of each of the four lunch options. The lunch sets we tried were: Tomato Sauertraut Eggplant Mixed Vegetables Wrap and Endive Avocados Tomato Quinoa. 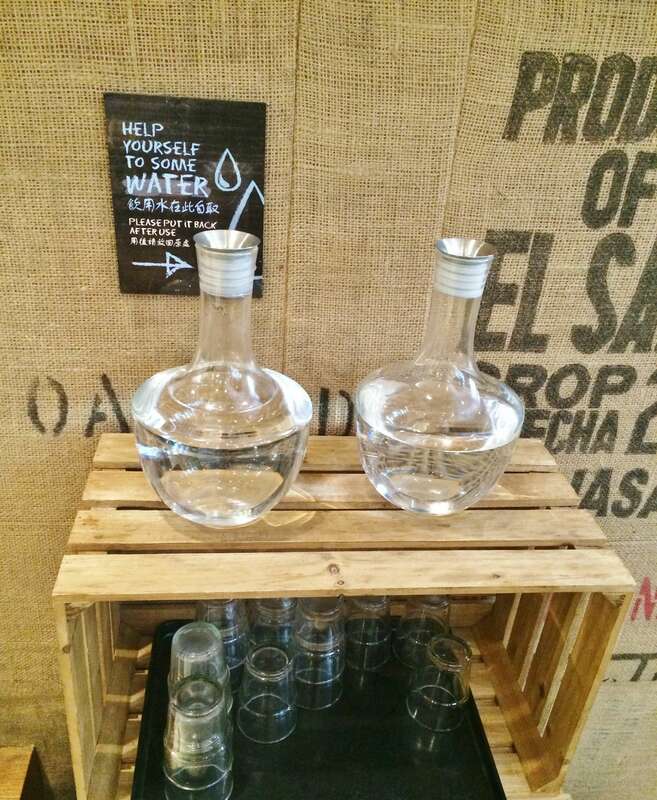 The lunch set comes with either a hot beverage, salad or soup of choice. I opted for the salad as the Beetroot Feta Cheese Cherry Tomato Salad was simply irresistible with its vibrant colours. Overall, the natural tasty flavour of the ingredients definitely hit the spot. Some ingredients naturally have a stronger flavour than others making them relatively more defining for the taste of the dish. For the quinoa the pesto has set the tone, while it was the mushrooms that added the finishing touch to the veggie wrap. As for the salad, the feta cheese turned the wrap completely around. There is nothing else better than enjoying a vegetarian lunch in a calm and peaceful environment surrounded by plants and flowers which really recharge you before heading back to work again. 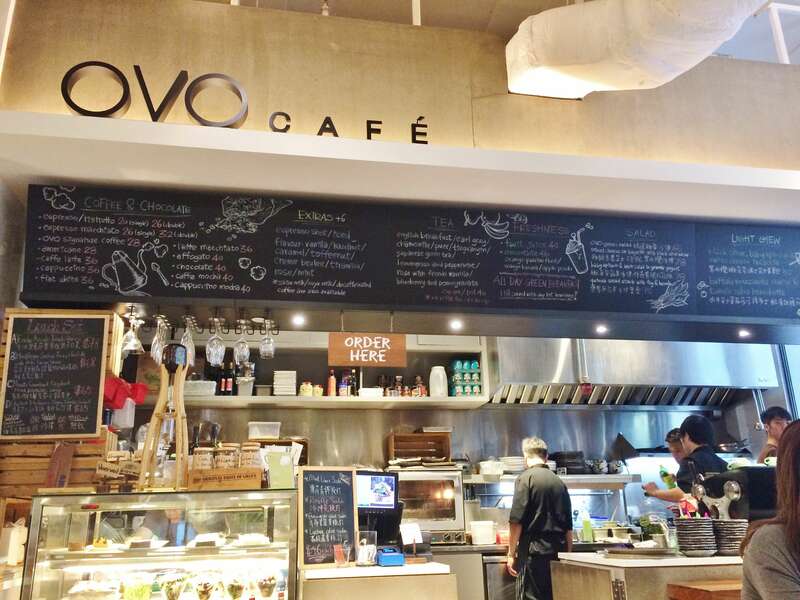 Also, with the lunches being after-lunch dip resistant, due to the light-digestible ingredients, Ovo Café is definitely one of my favourite lunch hot spots for office lunch hours!